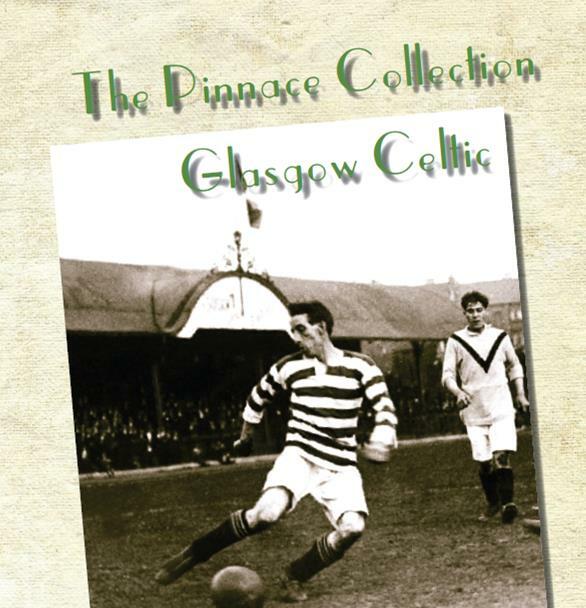 Celtic is the latest club to feature in a publishing project by football historian Paul Day which focuses on the famed Pinnace Collection of cigarette cards which carried photographs of football players from England, Scotland and Wales in the 1920s. Over 3,000 football cards were ultimately produced by Godfrey Phillips, the tobacco company who made Pinnace ‘Navy cut’ cigarettes. 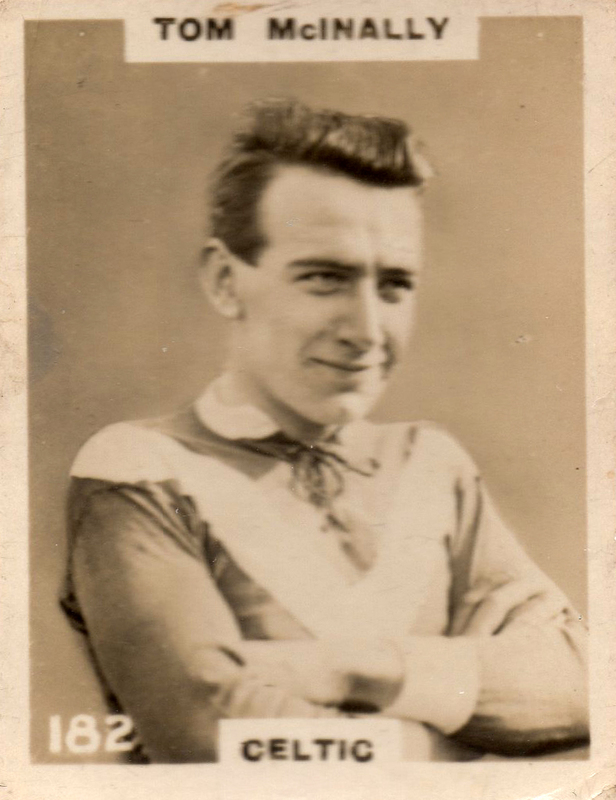 The cards – and variations of them as well as team photos – have proven a favourite of collectors down the years and they provide fascinating snapshots of players, kits and teams from a time when footballers were at the heart of their communities. Paul, a Sunderland fan, has produced a range of books featuring specific team collections of Pinnace cards including Arsenal, Manchester United, Clapton Orient, Aberdare, Leeds United and South Shields. 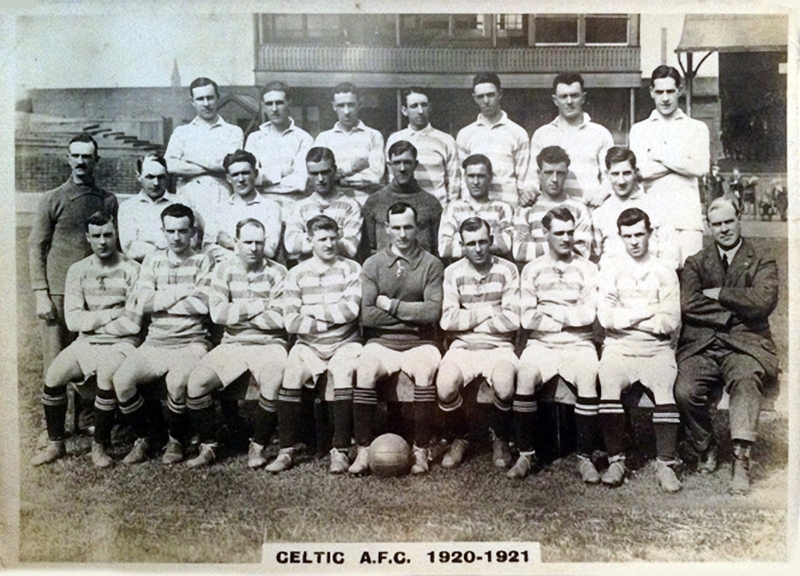 Celtic is the first Scottish team to be selected for the series. 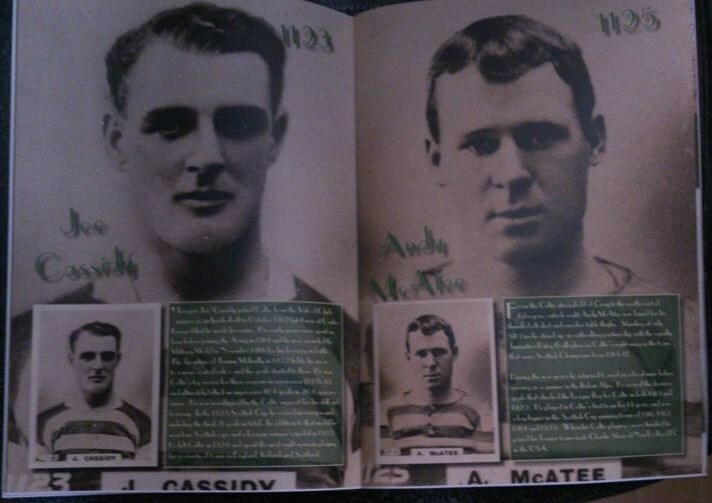 The Shamrock has contributed player profiles to the book. 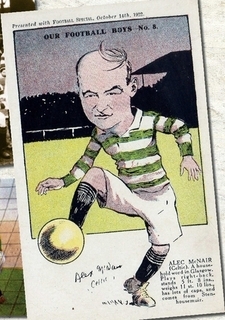 It was Willie Maley’s team of season 1920-1 which featured on the Pinnace cards and included famous Celts such as Patsy Gallacher, Jimmy McMenemy, Tommy McInally, Andy McAtee and Alec McNair. 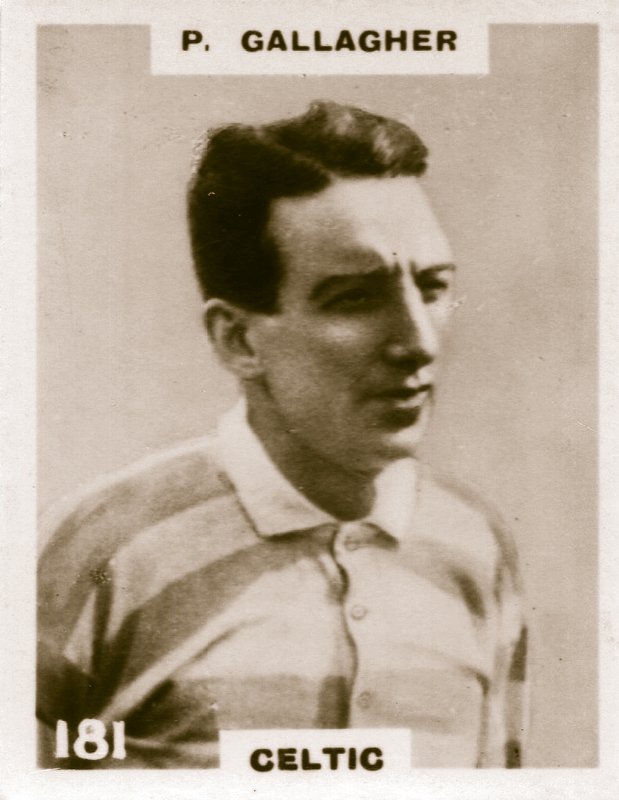 Less well known Celtic players such as Willie Crilly, Paddy Corcoran and the wonderfully-named Jimmy Bauchop are highlighted too. 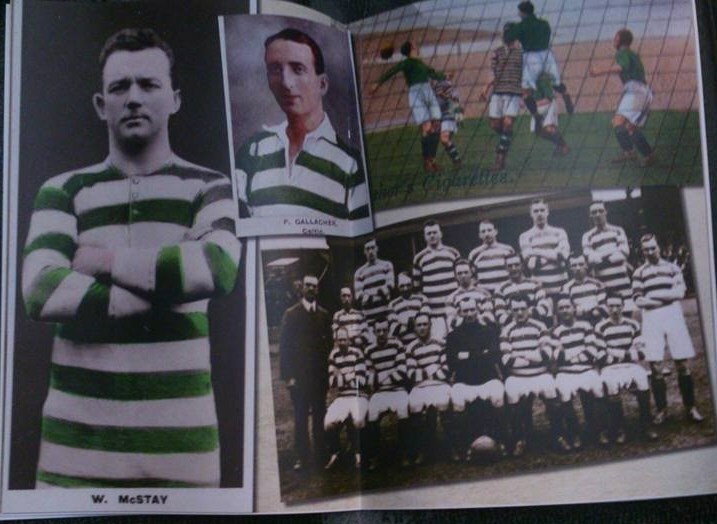 The book also focuses on former and future Celts such as Jimmy McMenemy (then of Partick Thistle) and Mickey Hamill (ex Belfast Celtic and at the time a Manchester City player) who made it on to the Pinnace Cards. Each book in The Pinnace Collection has 32 A4 pages which are largely in colour and presented in paperback format and costs £10.00. 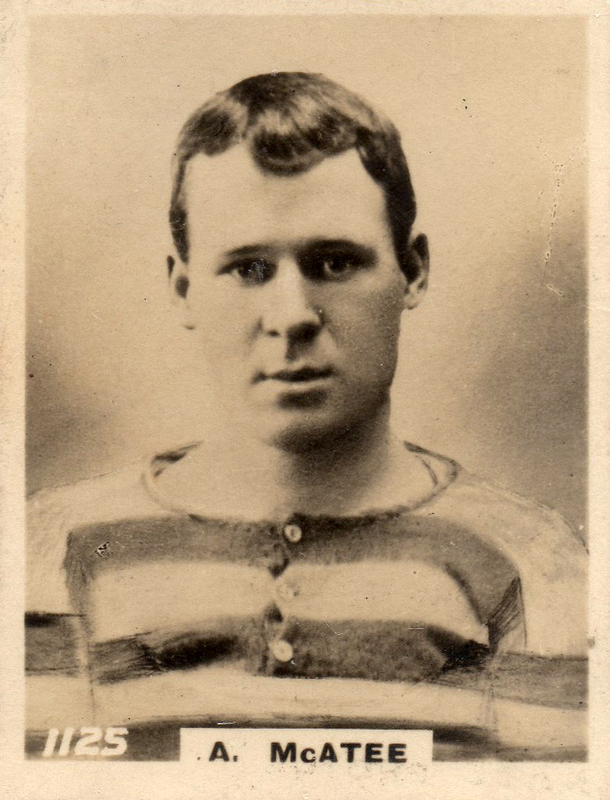 Welcome to the antiquated world of footballers with soup-strainer moustaches, goalkeepers in flat caps and turtle-neck jumpers, international players proudly displaying their caps and players in their Sunday best clothes, raincoats and trilby hats. No long-haired layabouts, horrendous ‘mullets’ or aggressively shaven heads to be seen here; no sponsors splashed across the front of these heroes’ shirts – in fact you’d be hard-pressed to spot as much as even a club badge on most of these chaps! These are the honest, hard-tackling footballers of the early 1920s, when football was a man’s game using a leather ball with laces that dented your forehead and coloured boots were worn by women. Welcome to the world of the cigarette card footballer! This quote comes from an excellent website about the Pinnace cards and their unique role in football history which be accessed here: An Introduction to the Pinnace Collection. Further details on the 20 different Pinnace books which Paul Day has now published can be found here: The Pinnace Collection – books.